The Trudeau government is defending its commitment to reconciliation as a growing number of Indigenous leaders and youth say they’re discouraged by his decision to eject two key figures on the file from the Liberal caucus. “I’m very disappointed that it had to come to this,” said Linden Waboose, a 22-year-old from from Eabametoong First Nation who sits on the Nishnawbe Aski Nation Oshkaatisak Council, an advisory network of ten youths aged 18-29 from Northern Ontario. Prime Minister Justin Trudeau has said no relationship is more important to him and to Canada than the one with First Nations, the Metis Nation and Inuit Peoples. 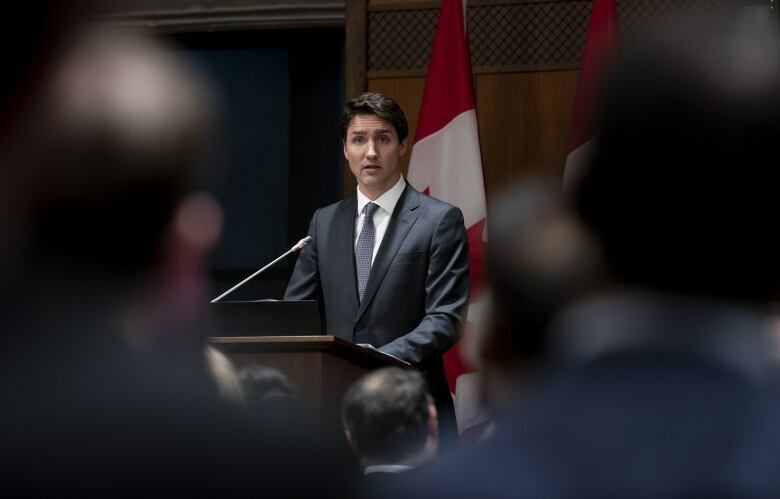 The day after he chose to oust Jody Wilson-Raybould and Jane Philpott from the Liberal caucus, Trudeau faced some hard questions about that promise from young women who gathered on Wednesday for the Daughters of the Vote event in the House of Commons. In response, Trudeau said again that reconciliation is “probably one of the most important” issues for his government. Many in Indigenous communities saw Wilson-Raybould and Philpott as champions of their causes. Philpott won respect for her efforts as Indigenous Services minister to end drinking water advisories and reform Indigenous child welfare. Wilson-Raybould was, of course, the first Indigenous person to hold the position of justice minister and attorney general. Minister of Crown-Indigenous Relations Carolyn Bennett calls Wilson-Raybould a trailblazer, but said the work on reconciliation continues. “This is way more than one person,” Bennett said. Investments in reconciliation are significant part of the Liberal government’s election year budget; $4.5 billion has been added over the next five years to try to narrow the socio-economic gap between Indigenous and non-Indigenous people. The SNC-Lavalin scandal has been eating into Liberal support since Feb. 7, when the Globe and Mail reported that Wilson-Raybould had faced inappropriate political pressure over the decision to pursue criminal prosecution of the company on bribery charges. Wilson-Raybould and Philpott both later resigned from cabinet to protest the government’s handling of the SNC-Lavalin file. In her testimony before the Commons Justice Committee during its investigation of the SNC-Lavalin affair, Wilson-Raybould said she would not apologize for being a strong advocate of transformative change for Indigenous peoples. As she was being shuffled from her justice post, she warned senior people in the government that it would not look good for the government. That perception is already being echoed by some. 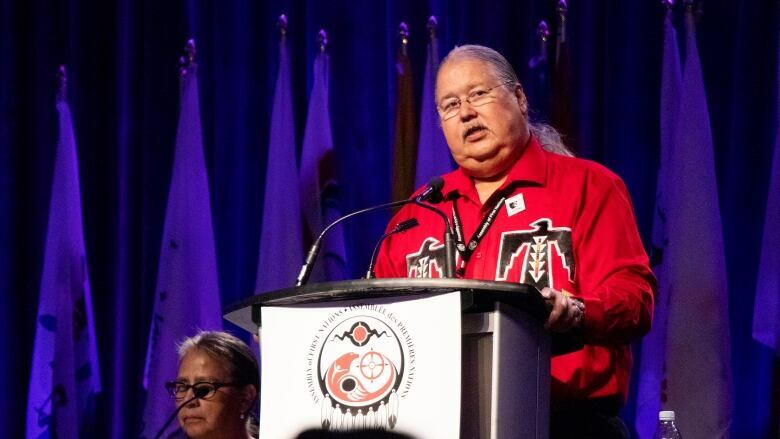 “I think there is irreparable harm and damage done to Prime Minister Trudeau’s vision and stated intent to carry forward the reconciliation agenda,” said Union of B.C. Indian Chiefs Grand Chief Stewart Phillip. Russ Diabo, a First Nations policy analyst, believes reconciliation is tied to the SNC-Lavalin affair. Stewart warned that the Trudeau government will be a “one-time wonder” and said the only way it can repair its relationship with those hurt over the prime minister’s decision to oust Wilson-Raybould and Philpott from caucus is for Trudeau to apologize and then step down. The outrage could have consequences in this fall’s federal election. Some pollsters suggest Indigenous voters could swing the outcome in as many as 11 ridings. 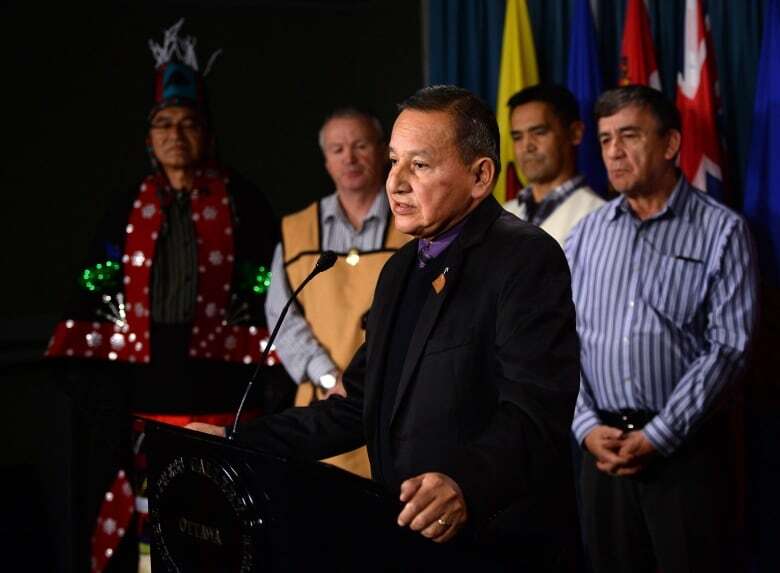 First Nations policy analyst Russ Diabo said he also believes the way Wilson-Raybould and Philpott were dropped from caucus will cast a shadow over the government’s reconciliation agenda. He pointed out that Wilson-Raybould was offered the Indigenous Services portfolio after being shuffled out of justice, but turned it down because of her opposition to the Indian Act she would have had to administer in that job. “In the context of this reconciliation agenda, she is a symbol of, I think, the Trudeau government’s commitment to fulfilling that,” Diabo said. Diabo said the criticism of Wilson-Raybould over her decision to secretly record a phone call with Clerk of the Privy Council Michael Wernick amounts to a “double standard,” because Wernick was deputy minister in the former Indian Affairs department when it was monitoring the social media posts of First Nations activist Cindy Blackstock. Sheelah McLean, one of the co-founders of the Idle No More movement, said Philpott is also a symbol — of how non-Indigenous Canadians can stand in solidarity with Indigenous people. “The fact that they left together, I think, is a much larger narrative that really challenges what’s been happening in Canada over the last 150 years,” McLean said. In a written statement, the Assembly of First Nations also expresses its disappointment with Philpott and Wilson-Raybould’s punishment. 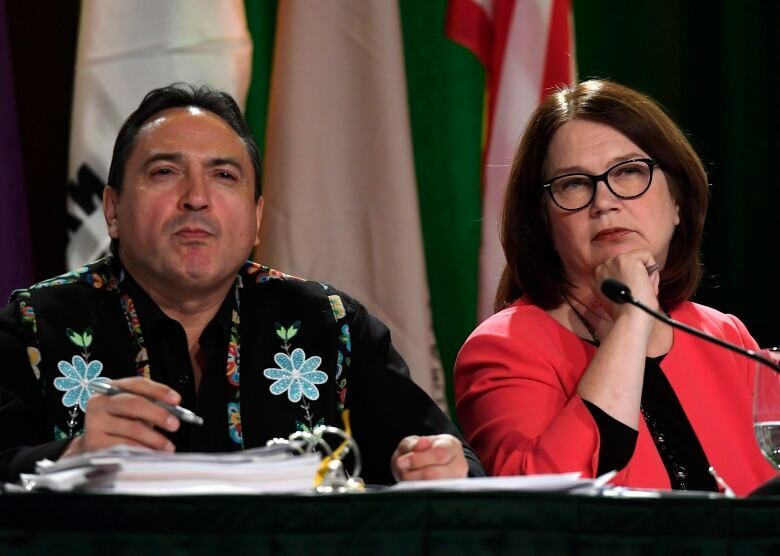 “The events of the past few weeks raise serious concerns about the motivations and actions of this government,” wrote National Chief Perry Bellegarde. Supporters of Wilson-Raybould and Philpott like B.C. Regional Chief Terry Teegee are using the hashtags #istandwithJody and #istandwithjane online. 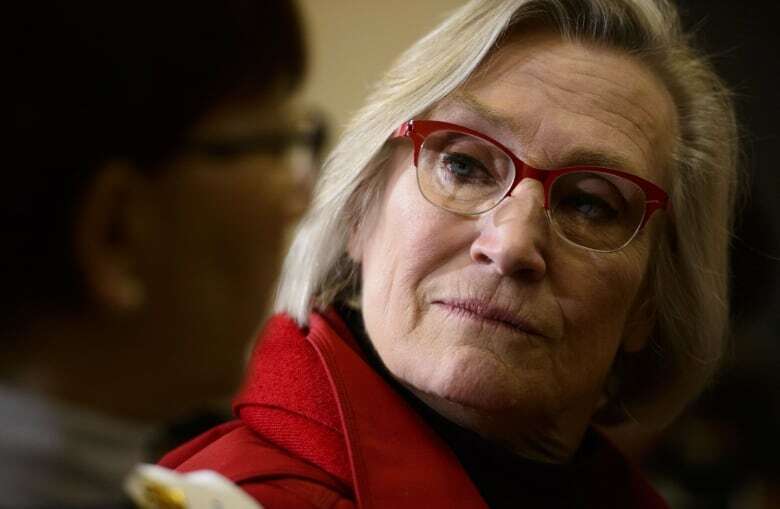 “She [Wilson-Raybould] was doing her job, upholding the law and the integrity of the attorney general’s office, and as soon as she did that and held to her principles, as an Indigenous woman, as a government official, she’s being punished for it by the powers at be,” Teegee said. But not every organization feels that way. Clément Chartier, the president of the Métis Nation, questions why the two MPs weren’t expelled from the Liberal caucus sooner. “For the Métis Nation, we believe that this prime minister and this government have done more than any other government, or more than any other prime minister, in dealing with us on a nation-to-nation, government-to-government basis,” Chartier said. Waboose said the examples of Wilson-Raybould and Philpott have convinced him to pursue a career in politics. “It’s inspired me to be a politician one day,” said Waboose, who wants to be an MP. Ashley Wesley, 24, from Mishkeegogamang First Nation, sees this as a moment for the government to act. “Some youth are really disappointed and discouraged by what’s happened. Other youth have expressed they’re upset, but they’re also motivated to try to push for changes in the government,” Wesley said.